Navy Blue Magenta Embroidery Work Silk Designer Fancy Fancy Party Wear Kids Gown. 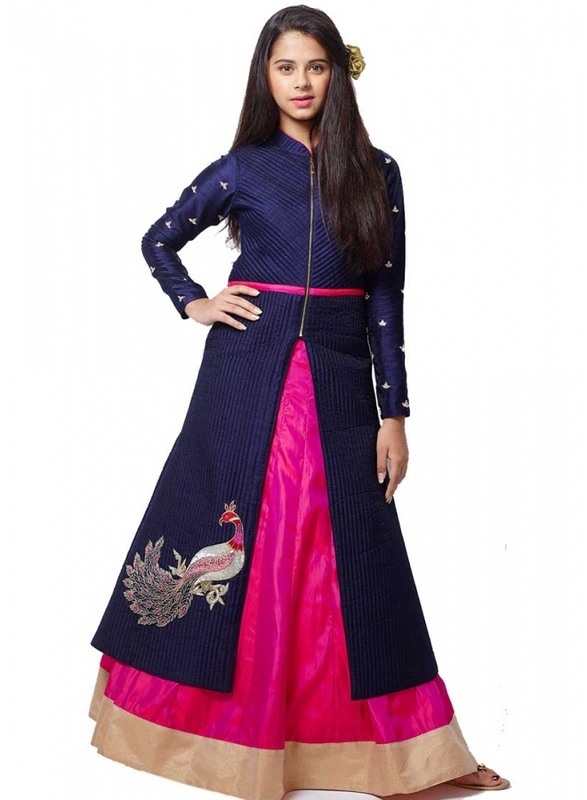 Buy online shopping salwar kameez at - Chennai. Navy Blue Magenta Embroidery Work Silk Designer Fancy Fancy Party Wear Kids Gown. This beautiful gown is showing Embroidery work, Booti work done on neck of gown. The suit is designed with Fancy Silk.